Its been a long long time since there has anything being shared or reviewed here. The last year has been very tough year for me emotionally & physically. However now I am back and trying to make things normal again. And the first thing that I have done to make life normal was to take a vacation. And when there is vacation there is relaxing & of course shopping !!!! If you follow me on Instagram you would probably know the beauty shopping that has taken place in the last 3-4 weeks. Aren’t these the cutest ?? 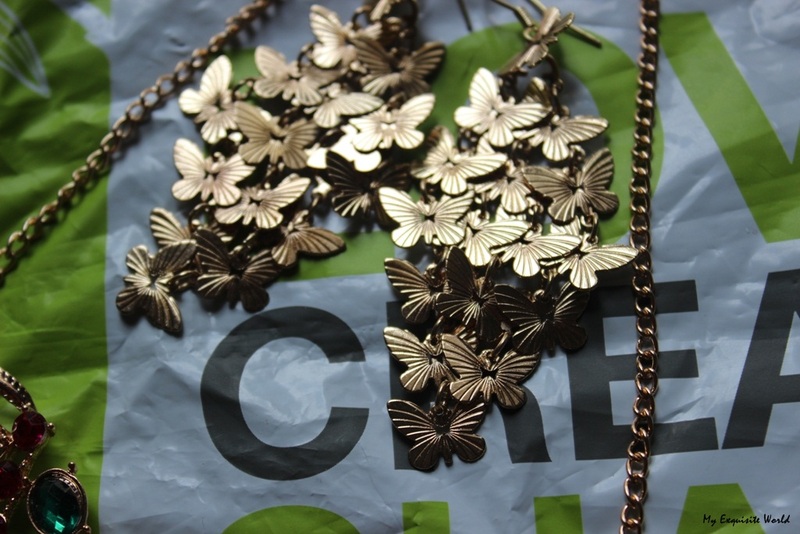 Online Shopping is one part of our life that we all enjoy. The freedom to shop from the comfort of our home without driving through crazy traffic or waiting for one’s turn in the long queues of trail room/billing. The options are a lot and every site tries to be different & unique in their own way. The site that caught my attention is LIMEROAD. Whether you want a chic look or something ethnic, you will always find the most fashionable creations for every mood, season and occasion only at one of the best online shopping sites in India, LimeRoad.com. Here, we are committed to make sure that you get dresses and accessories that are unmatched in terms of style, quality and reliability. Starting from sarees, Kurtis, dresses, bags, shoes for Women and other dynamic accessories, you will get the most affordable prices amongst all websites along with safe and trouble free shopping experience every time. LimeRoad.com besides providing best online shopping for women also gives myriad payment options including Debit Card, Credit Card and Net Banking payment, all conducted through an encrypted and secure payment gateway. Today there are multitudes of shopping sites in India, leaving users spoilt for choices. It therefore, becomes increasingly important to strive for newness, to do things differently, to stand out in the crowd. LimeRoad is India’s first online store that offers customers the ability to establish their own beautiful and customised looks via the scrapbook tool which is innovative and user-friendly. With an option of creating, sharing and earning credits every time you create a look—the Scrapbook makes sure that you never run out of fashion tips. Each customer has access to the plethora of looks available on the site to shop from or even mix and match items and scrapbooks as per their preference. LimeRoad gives the everyday Indian woman a whole new shopping experience that places us at the number one position for women’s fashion and lifestyle amongst other websites in India. 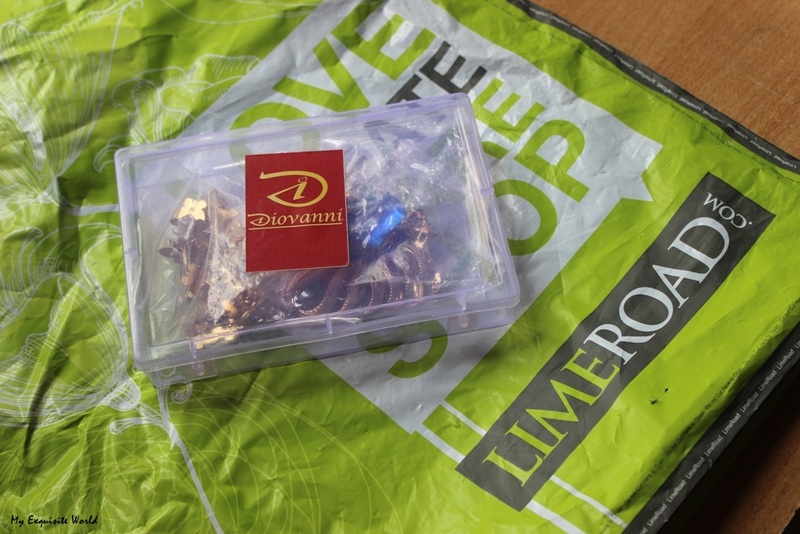 I picked up 2 pieces of Jewellery from LIMEROAD, a necklace & a pair of earrings. I liked how firmly everything was packed to avoid any damage in transit. 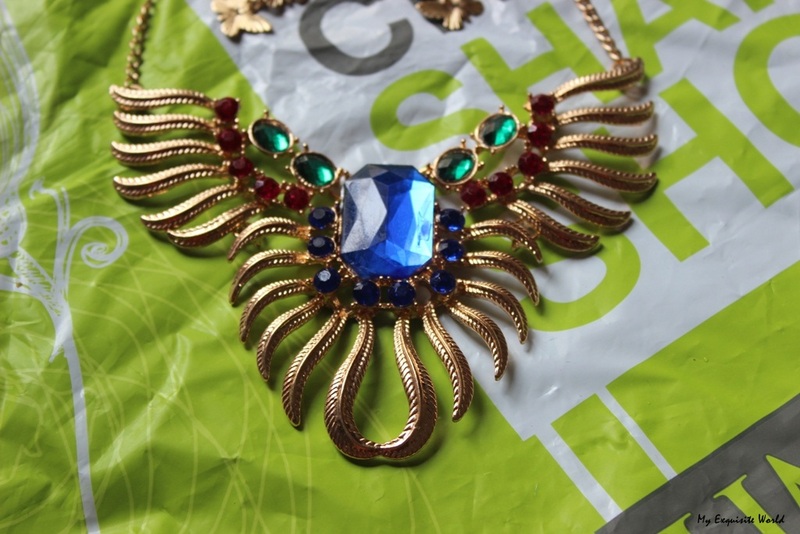 The necklace & the earrings were separately packed in a plastic box in bubble wrap. Limeroad also gives you the option of shopping anytime & anywhere by their mobile application, which can be easily installed on the smart phone. 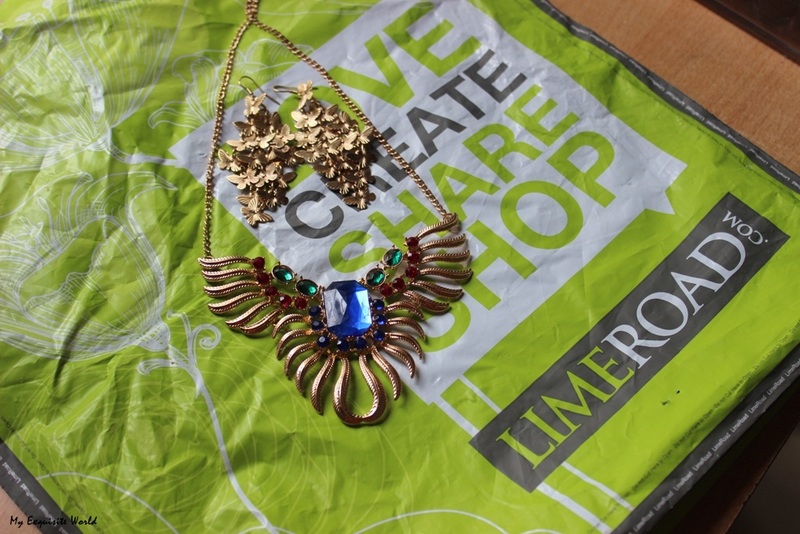 In my personal opinion, Limeroad is a perfect site to shop for all your requirements at one place. Be is chic or traditional, there is a whole variety to find what you are looking for and you can also share your ideas of styling with others through the scrapbook & enjoy the wonderful range they offer. ABOUT:The product claims to have a lactic acid formula that helps to maintain the ideal pH balance of the private parts. Soap and water increases the pH value which is between 7-10 pH. Increase in alkaline levels and pH value are risk factors that may cause dryness, itchiness and irritation. V Wash Plus promises to restore the pH balance as it contains pH value 3.5 – 4.5. And also prevent vaginal discomfort. It also does not contain Sodium Laureth Sulfate (SLS) and parabens, harmful chemicals that should be avoid in any personal care products. 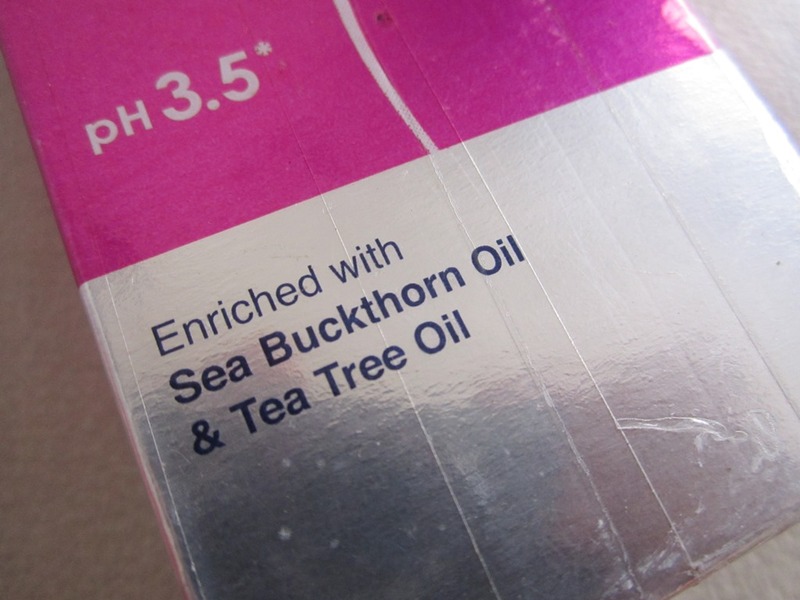 PACKAGING:The product is enclosed in a silver-pink cardboard.The bottle itself is white colored having a pink flip-top cap.The packaging is fuss-free,convenient to use. MY VIEWS:V wash is a clear liquid like formulation that has slight yellow tint to it.It has a very runny consistency.However,when I touch it,I do feel the presence of oil as the liquid has some volume in it.Only a small amount(maybe 4-5 drops) of the liquid is needed for one time use as it lathers very well.It is very easy to work out with.The wash has a mild,very soothing fragrance.I find it very pleasant.It leaves a slight cooling sensation after use that provides a calming effect.The product is great to be used especially in summers when we sweat a lot. 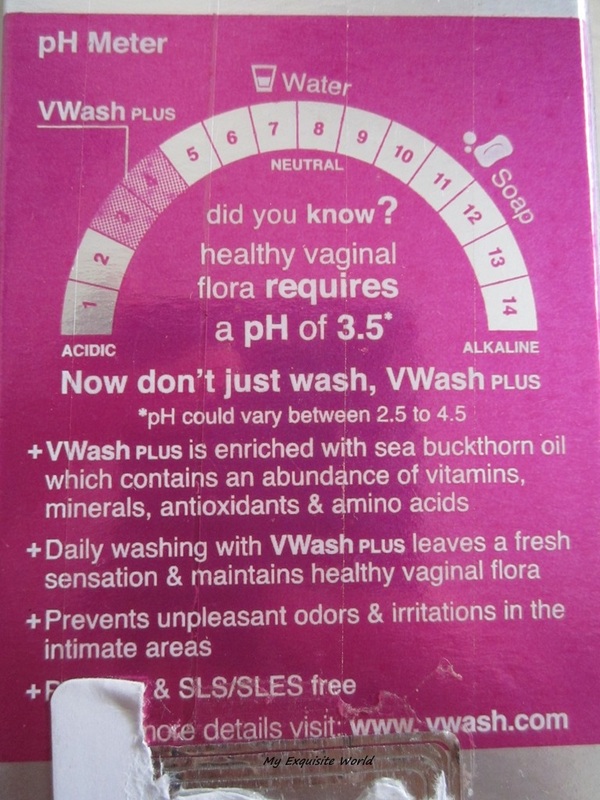 I have been through a bad phase of mild vaginal infection where I dealt with major itching,burning sensation.This wash indeed provide a lot of relaxation and calming effect.I use it 3 times a day as it keeps the acid levels in tact.All the itching and burning sensation is almost gone. 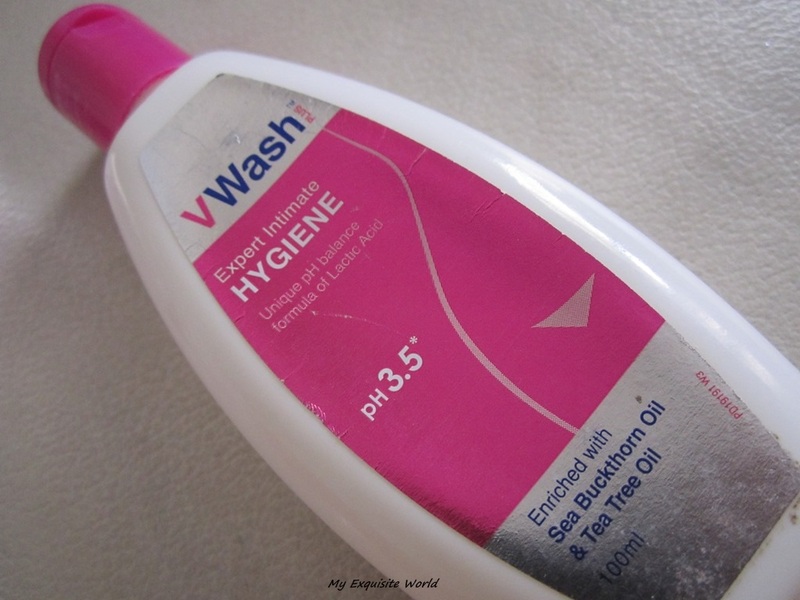 RECOMMENDATION:I swear by it and I highly recommend ever girl to have this in there hygiene rituals.However,remember that not all vaginal infections can be cured by using V Wash Plus. It is meant to prevent dryness, itchiness and irritation, but vaginal infection and STDs need medical attention. ABOUT: Cast a spell in satin. Rich colortakes life in a luxuriously creamy stick that brings satin to your lips. Enriched with sunscreens, vitamins and the goodness of olives, your lips will have a story to share. Indulge in a pod of beautiful shades ranging from floral pinks to shimmering peaches. PACKAGING: The packaging is very meh!! It is absolutely boring and very flimsy. However,the apckaging is sturdy and travel friendly. The shade name amd number is provided at the bottom. SHADE: Very Sherry is a deep maroonish-berry with brown undertones.The shade is very typical of lakme. It is devoid of any shimmer or sheen. No doubt,it is one of the Classics shade. MY VIEWS: The lipstick has a very glossy formula. 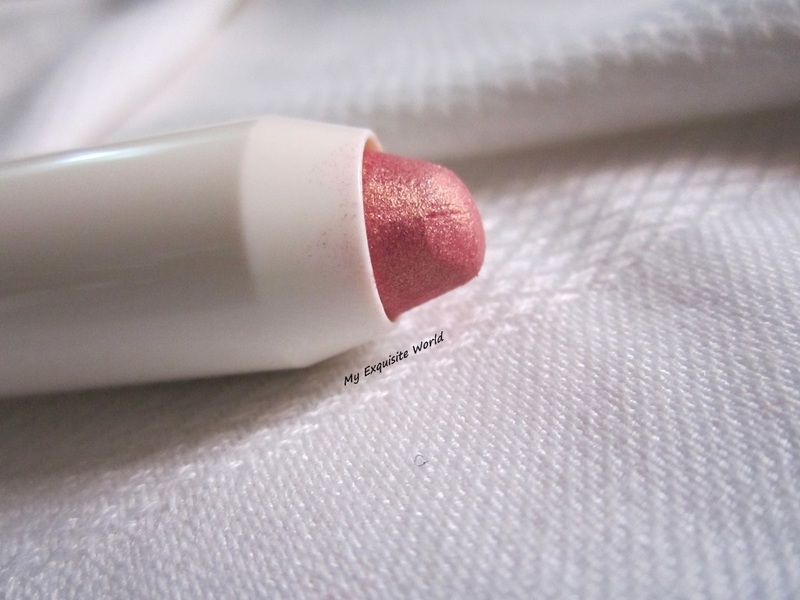 It is creamy and provides a very glossy sheen to lips. The formula is hydrating and very moisturising. It has a Unique fragrance which is there in all enrich lipsticks. The formula is light weight and stays comfortably on lips. The shade is insanely pigmented and one swipe is all that is needed for full coverage. I prefer to apply it with a light hand so that the shade sheers out. 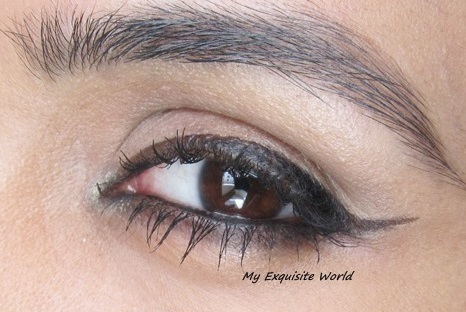 It looks gorgoeus and a great shade to be worn with Indian ethnic wear. It stays for amazing 6 hours as it leaves a deep berry stain on lips. RECOMMENDATION: The shade ia definitely a hit for those who prefer deeper shades. I generally wear peaches, corals, red and this is a nice change. I would recommend it to those looking for lipsticks that have high staying power and love wearing deeper shades. 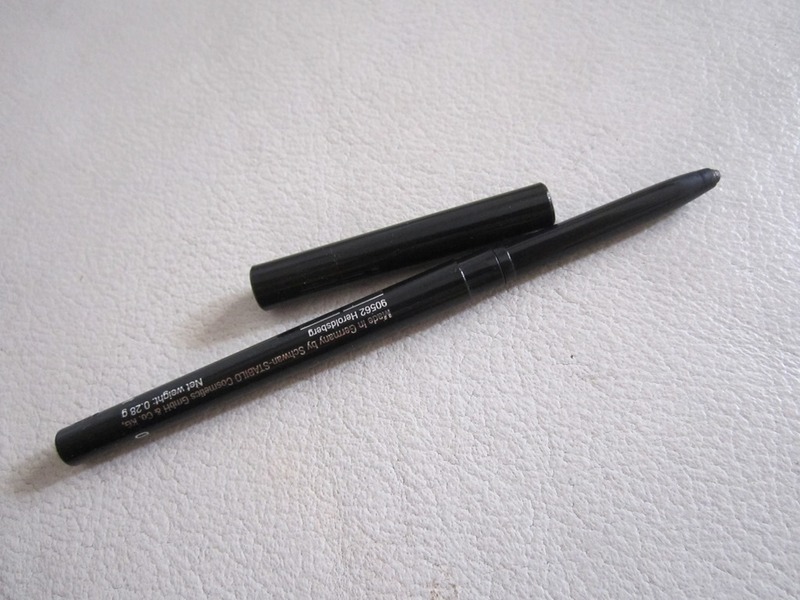 ABOUT:Extremely smooth formula with the ease of application of a traditional pencil. The extremely soft formula glides on effortlessly, it practically feels like melting onto skin and then reliably stays put for hours – no matter how busy your day is. 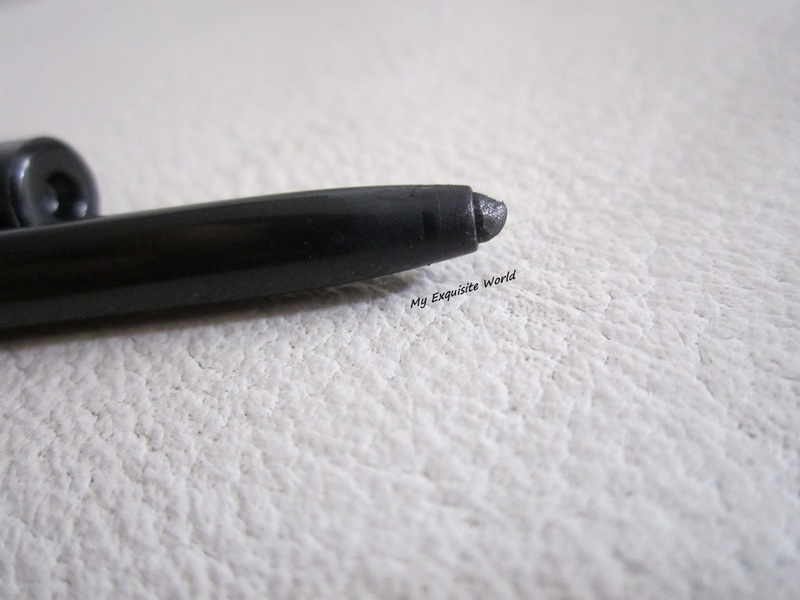 PACKAGING:The packaging is simple with a black twistable liner.Do note that the liner is not retractable.You only have to twist up the amount that will be used as it cannot be pushed back and eventually you will have to break it to close the liner. 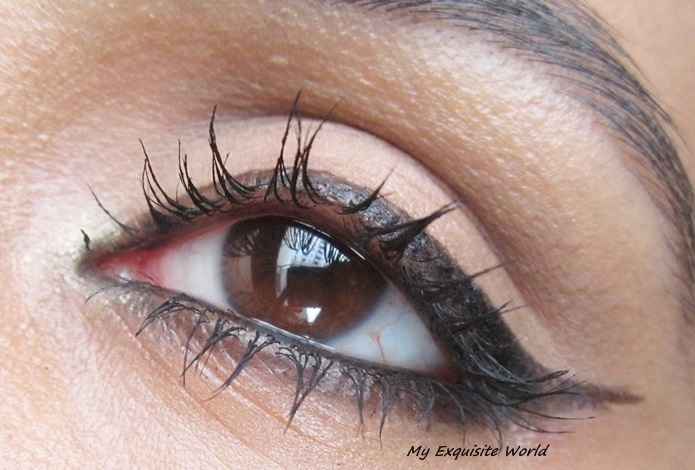 THE EYE PENCIL: I was on a lookout for some nice intensely pigmented black eye pencil for waterline.Having tried the Lakme,Chambor kohls,I wanted to try something new,something better and that is when came this amazingly pigmented Eye pencil.It is not Black…it is INSANELY BLACK.I have never tried such a gorgeous kohl before. 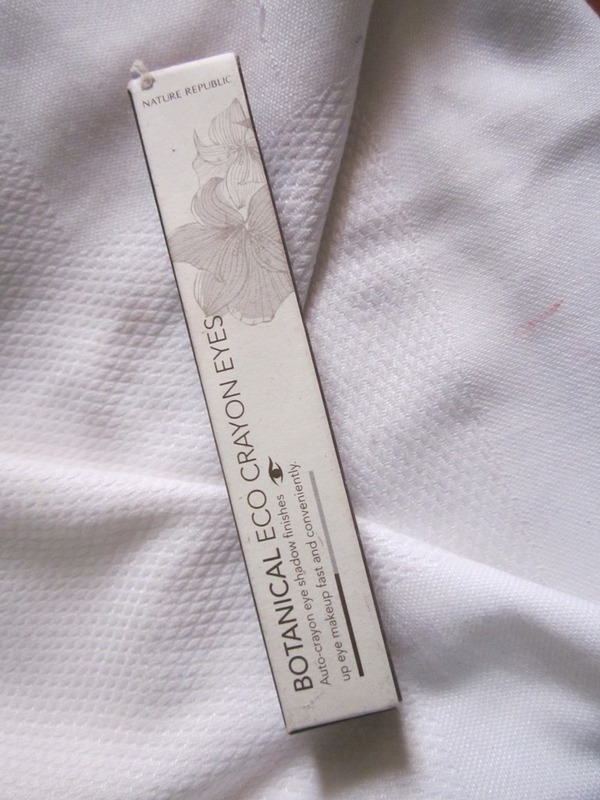 The eye pencil/kohl glides on easily on lids without any tugging or pulling.It is safe for waterline and great for those having sensitive eyes as the pencil is devoid of parabens,Ophthalmologically approved! 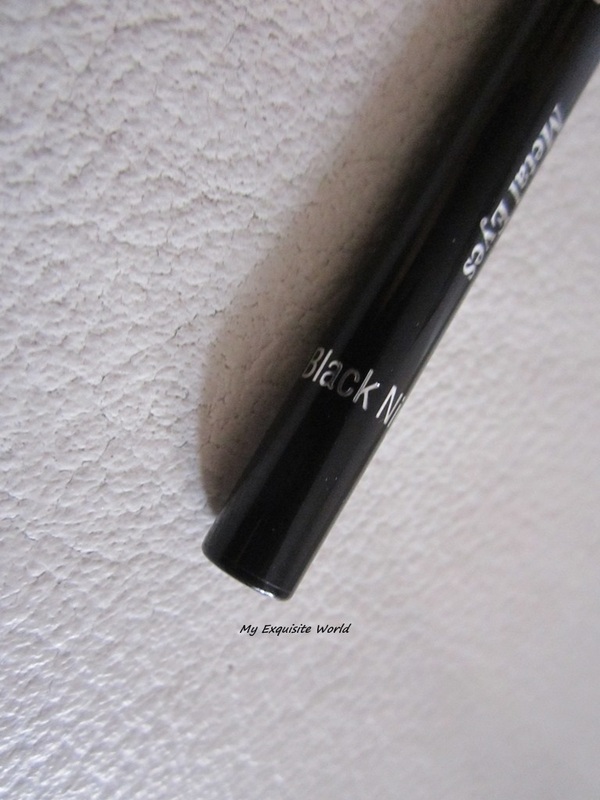 !It provides almost intense black pigmentation in a single swipe which can be built up further. 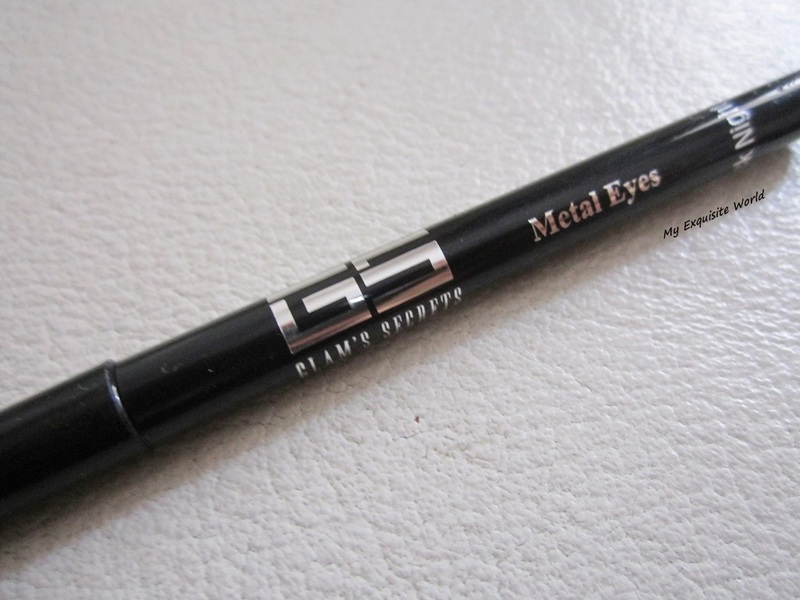 The pencil is mineral-oil free,preservative free and the best part is that it isn’t tested on animals.It stays for good 7-8 hours on my waterline without any smudging or budging which is an amazing thing.You can apply it and smudge in the initial seconds to get a soft-smoky look but once set,it doesn’t move.It is waterproof but it comes off easily with a mild cleanser though,I personally use baby oil or coconut oil for eyes. RECOMMENDATION:Highly recommend trying this.It is cost-effective and the formula is amazing! !Do check it out!! 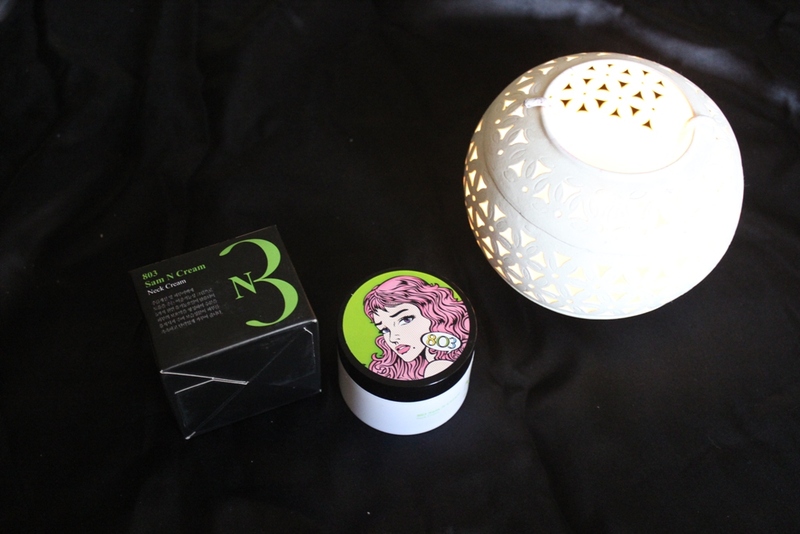 ~Soft cooling powder give natural spark. ~Twisting auto type easy application with out sharpener. ~ 3 kinds of white flower extract to prevent eyes from drying. 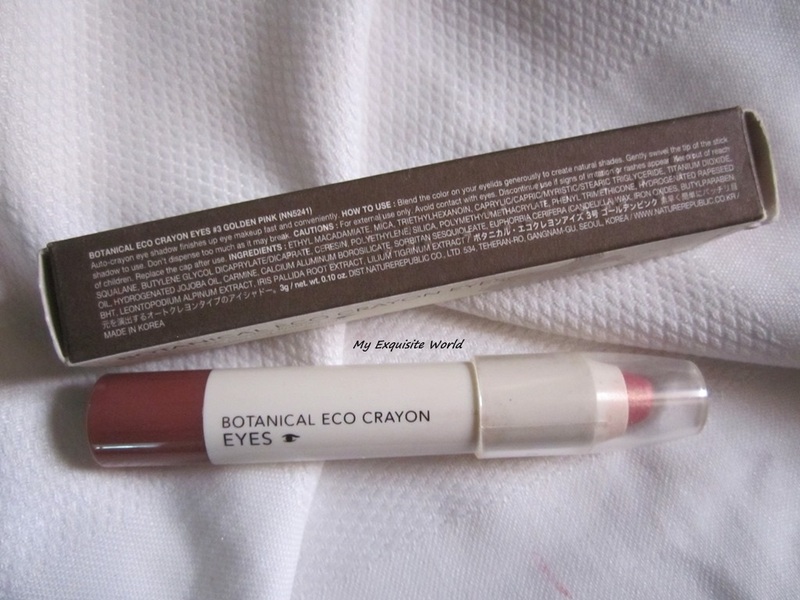 PACKAGING:The packaging is simple and fuss-free with a twist up mechanism chubby crayon.It is easy to store,locate and travel friendly.The shade number and I guess the name is written at the base of the pencil. 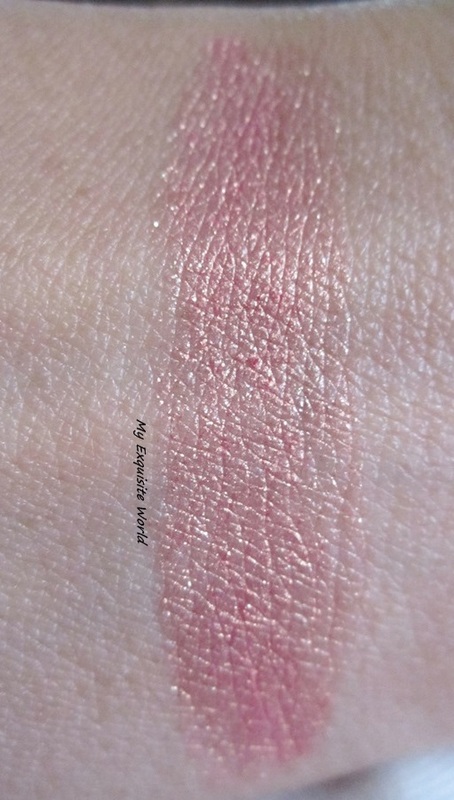 THE SHADE: shade #3 is a gorgeous golden oink shade that has slight duochrome effect.It is very similar to MAC expensive pink or mac blush springsheen.The shade looks really classy on lids. 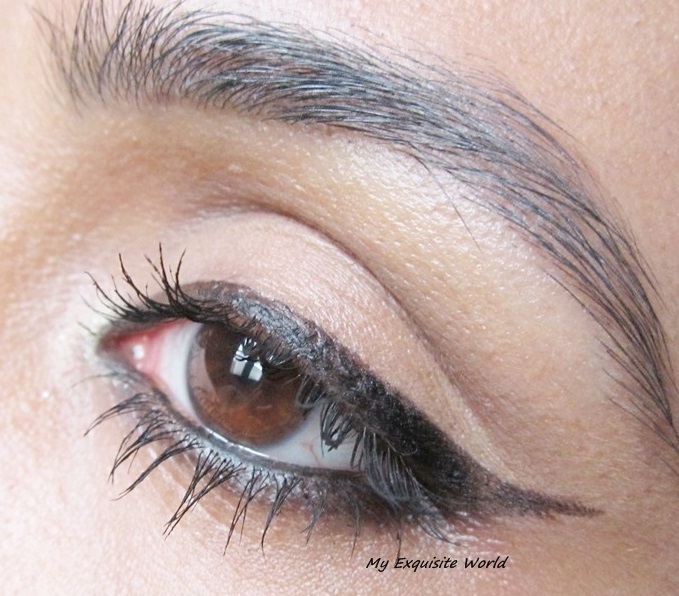 MY VIEWS: The eye crayon has a creamy formula that glides on easily on lids without any pulling or tugging.It has golden shimmer which s really minute and subdued into the creamy mixture.The shimmer is non-gritty.The formula however is not great for being used as a base for powder shaodws.It can be used as it is-alone as an eyeshadow .I tried using it as a base and the shadow creased and crumbled terribly. 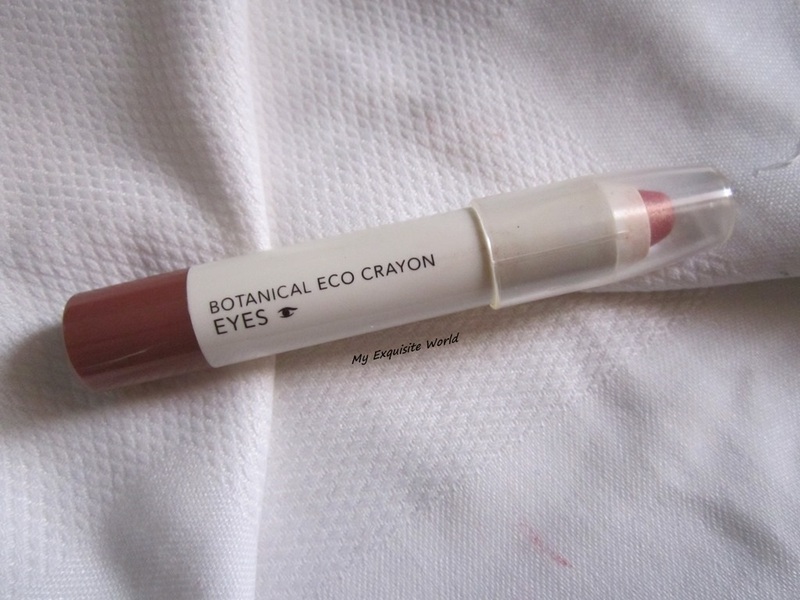 On its own,it is decently pigmented and provides a good wear time of about 5-6 hours when used above a good primer.I have medium oily lids and the formula of the eye crayon is just fine for me but the staying power of the crayon will be less on oily lids and when used in humid weather as it has a slight tendency of creasing. 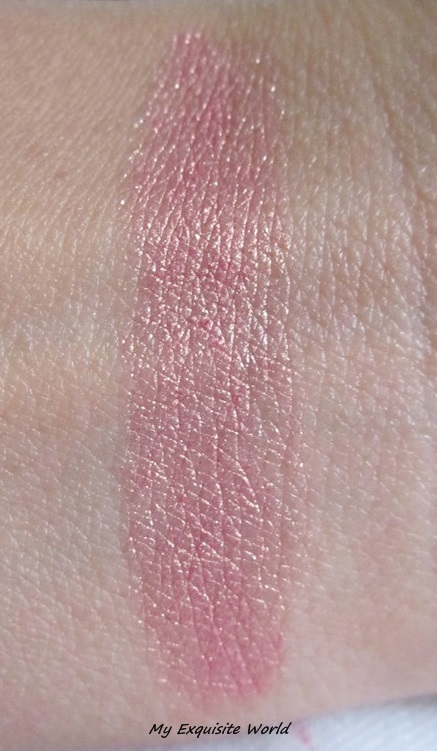 The shade is great for day wear.It can be blended with other cream shadows for different looks though.The duochrome finish is amazing nad the shade is very much comparable to MAC expensive pink which is an absolute favorite shade for me!! RECOMMENDATION: I love the shade and the ease of use of this crayon. 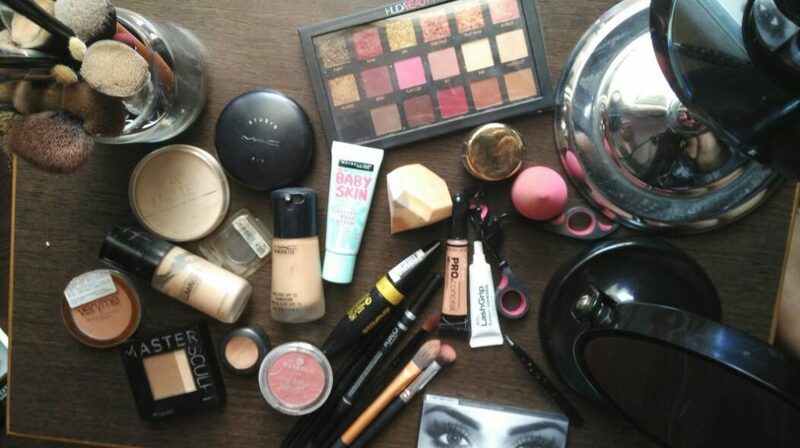 However,it cannot be used as a base for other shadows and it creases after sometime. 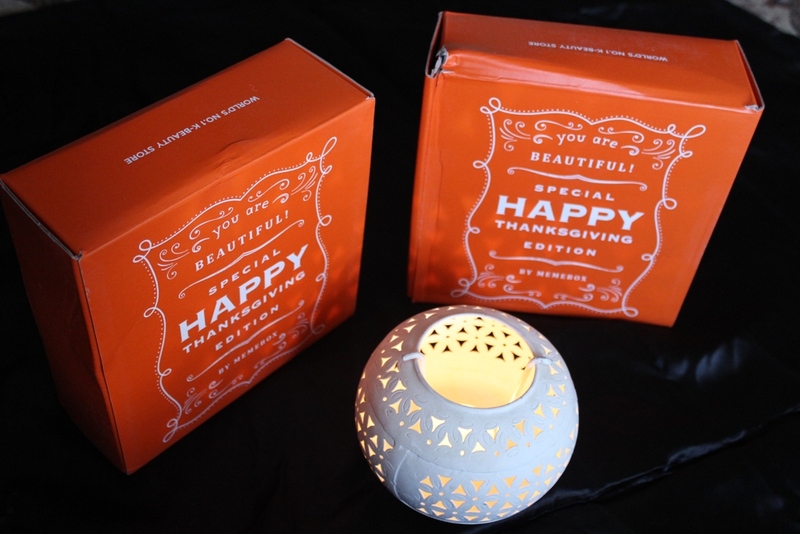 Put this on your own wish list: K-Beauty junkies will go nuts over this limited edition “Thanksgiving Collection #1 For Me” Everyone knows the best gifts are the one you get yourself, so say thanks to yourself this 2014 Thanksgiving season, packed with the perfect collection of K-Beauty selects. Considering all the 2014 stress- think overtime work, juggling kids, etc – you really deserve it. 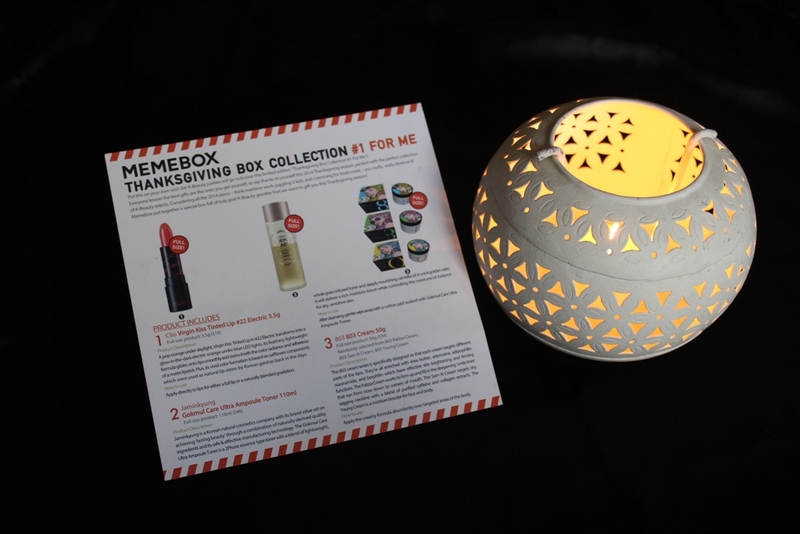 Memebox put together a special box full of Holy Grail K-Beauty goodies that we want to gift this Thanksgiving. A pop orange under daylight, Virgin Kiss Tinted Lip in #22 Electric transforms into a glow in the dark electric orange under the blue LED lights. Its feathery lightweight formula glides onto lips smoothly and steins it with color radiance and adherence of a matte lipstick. Plus, its vivid color formation is based on software components which were used as natural lip steins by Koreans geishas back in the days. Jaminkyung is Korean natural cosmetics company with its brand value set on achieving ‘lasting beauty’ through a combination of naturally-derived quality ingredients and its safe & effective manufacturing technology. The Gokmul Care Ultra Ampoule Toner is 2Phase essence with a blend of lightweight, whole grain-infused toner and deeply nourishing camellia oil in a 6:$ golden ratio. 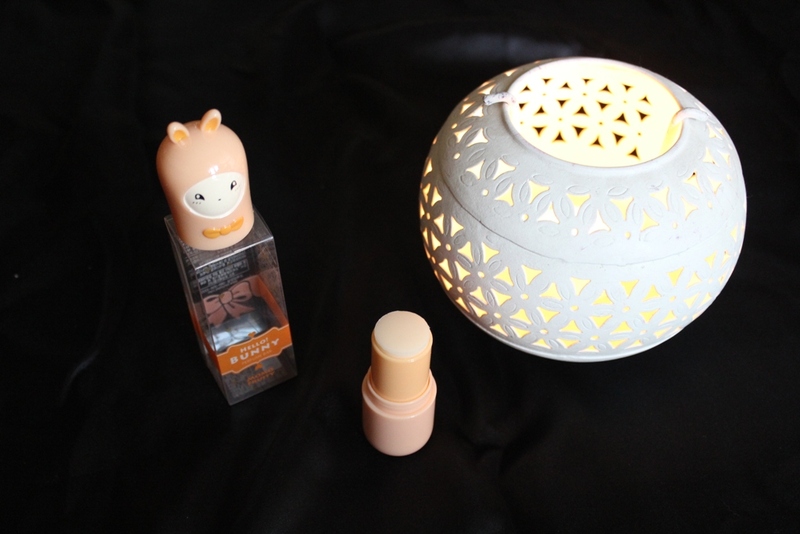 It will deliver a rich moisture boost while controlling the moisture/oil balance for dry, sensitive skin. The 803 cream series is specifically designed so that each cream targets different parts of the face. They’ll all enriched with shea butter, adenosine, adipophilin, niacinamide and borphlin which have effective skin brightening and firming functions. The Sam N Cream targets dry, sagging neckline with a blend of purified caffeine and collagen extracts. The Love recipe Apple Mask is enriched with abundant apple extract for smoothing and balancing out rough skin texture and delivering moisture and nutrition into the skin. 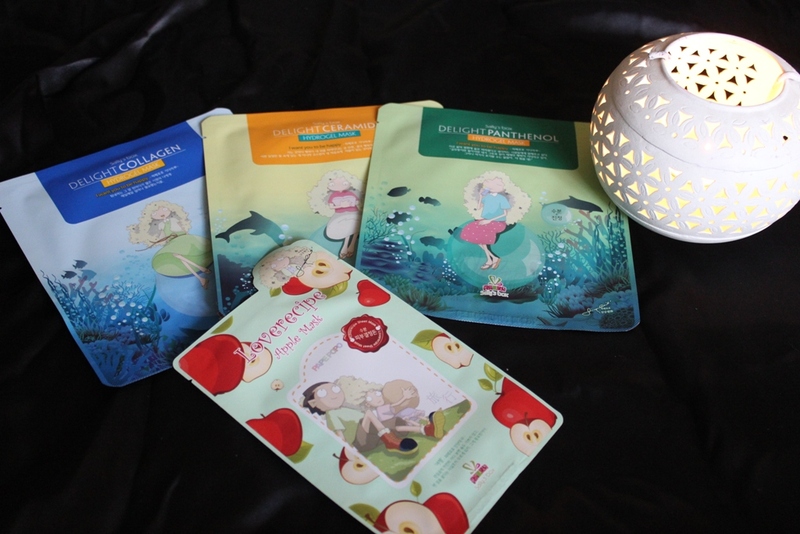 The 3 Delight Hydrogel masks are made from the ‘garden complex’ containing more than 10 herbal ingredients from Mother Nature and each work to deeply hydrate, firm up and relieve coarse thirsty skin. A stick-type bar packed into a lovely bunny design. 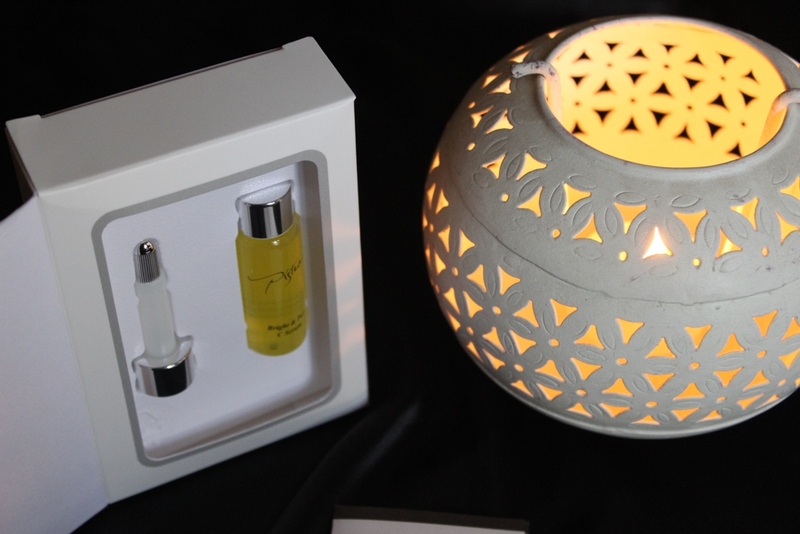 Its infused with a top note of lemon citrus, a middle note of frisia & white rose and a bottom note of sandalwood & musk. Abundant, cream like foam bubbles penetrates deep into your pores, cleaning away any makeup residue, skin impurities, blackheads and dead skin cells piled up and leaving your skin freshly cleaned, moist & brighter overall. Made up of Pure Vitamin C concentrates, this bottle of nutrients will replenish moisture balance, firm up fine wrinkles and brighten overall complexion with continuous application. 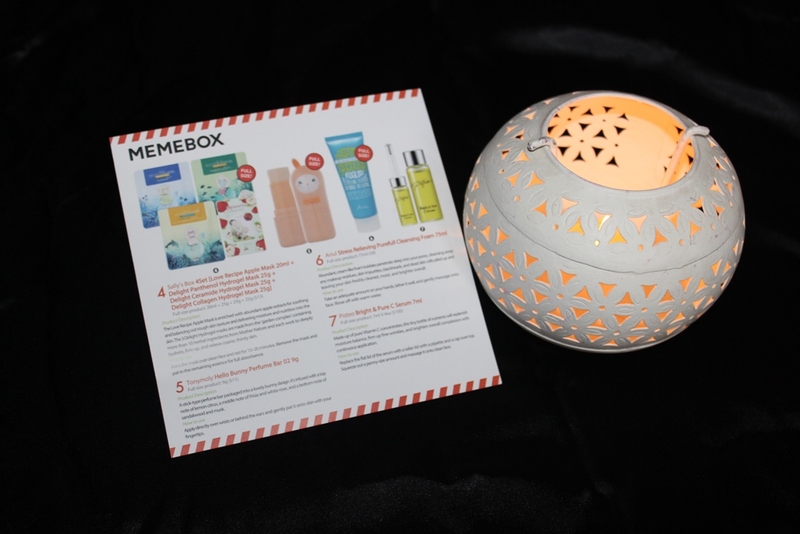 This was the only box that I bought from Memebox in the month of November. In my opinion the box is worth the amount paid for it. The products are all full size. 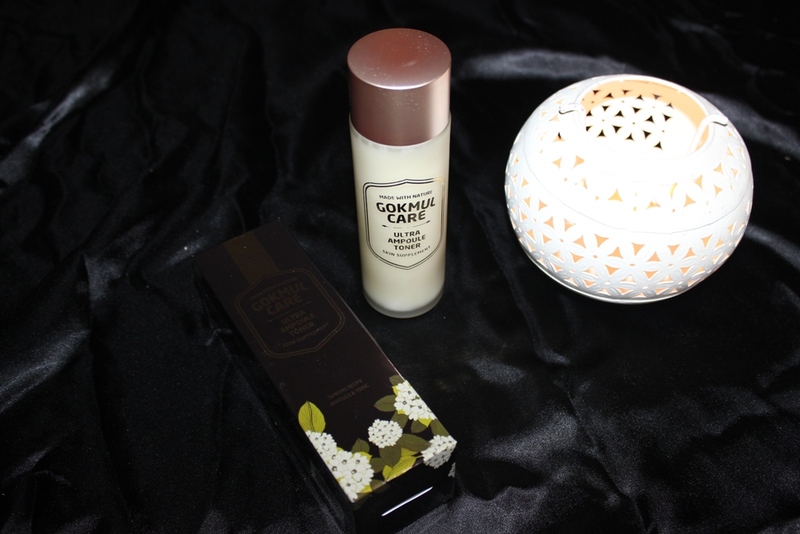 I do not see any product that I would not be using, infact I have already stated using the Ariul Stress Relieving Purefull Cleansing Foam and it feels good on my skin. Will be boxing the Thanksgiving Box 2 soon.